Yahoo has signalled its intention to "work more closely" with the regions with the announcement of a new Manchester-based appointment. James Attwater has joined the web giant in the newly created role of Regional Agency Partner and will be focusing on growing Yahoo’s advertising business in key cities outside London. His role will involve developing relationships with media agencies in Manchester, Leeds, Edinburgh and Birmingham, and he'll also lead Yahoo's regional strategy for its two key advertising platforms, Yahoo Gemini for native advertising and BrightRoll for programmatic. He will additionally support the delivery of content marketing solutions on Tumblr, working with the in-house content solutions team, Yahoo Storytellers. 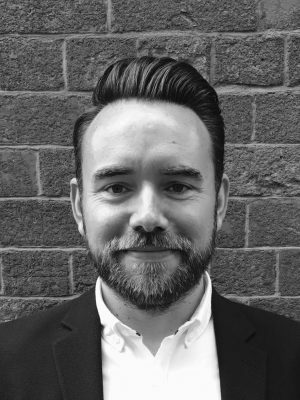 Attwater joins from US mobile and location-based marketing company xAd, where he was regional sales manager, and he's also worked for advertising intelligence and digital media provider Exponential, News UK, Global Radio and Bauer Media. Nigel Clarkson, UK MD, Yahoo said: “We’re thrilled to be getting back into the regional marketplace with the appointment of James in this new role. Regional agencies account for 15% of UK ad spend and they are thriving markets. "With our strong proposition in data, content and technology, we absolutely should be there working alongside them to help grow their digital businesses. Whenever I visit the regional agencies, there is a clear entrepreneurial spirit of passionate, driven people and we can't wait to work more closely with them again." Yahoo's move into the regions comes 11 years after search engine rival Google established a Manchester base, headed by Andy Barke. Yahoo has endured a difficult few years under chief executive Marissa Mayer, and in July was sold to US telecoms giant Verizon for $4.8bn (£3.7bn). That deal could be in jeopardy however after the company revealed last week that in 2014, "state-sponsored" hackers stole data on about 500 million users in what could be the largest publicly disclosed cyber-breach in history.